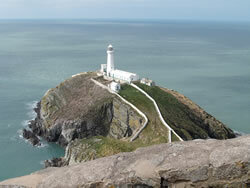 There are 5 lighthouses operational around the coast of Anglesey. They are at Trwyn Du in the south east, Point Lynas in the north east, The Skerries, off the north west coast, South Stack, north west, and Holyhead, also north west. 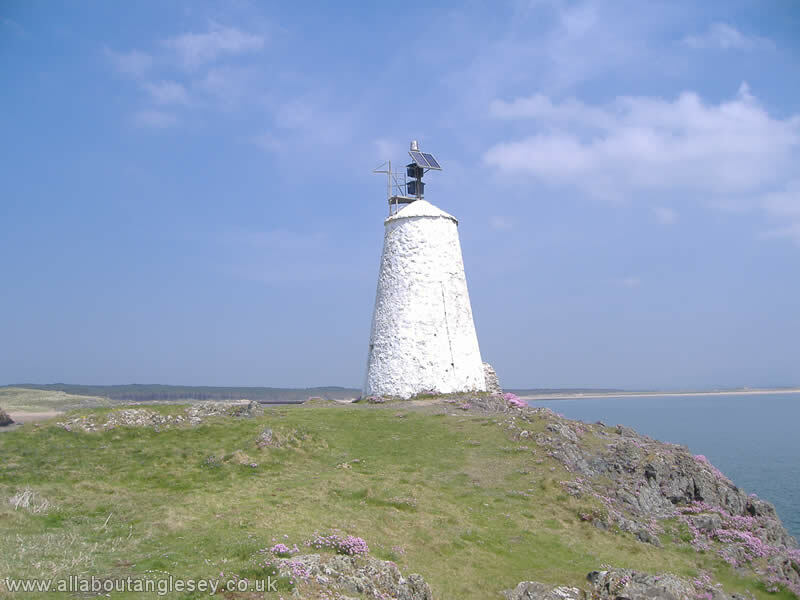 In addition, redundant lighthouses are evident around the coast, including two at Llanddwyn Island, Ynys Llanddwyn. 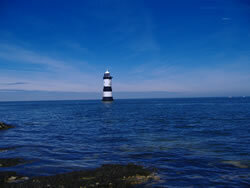 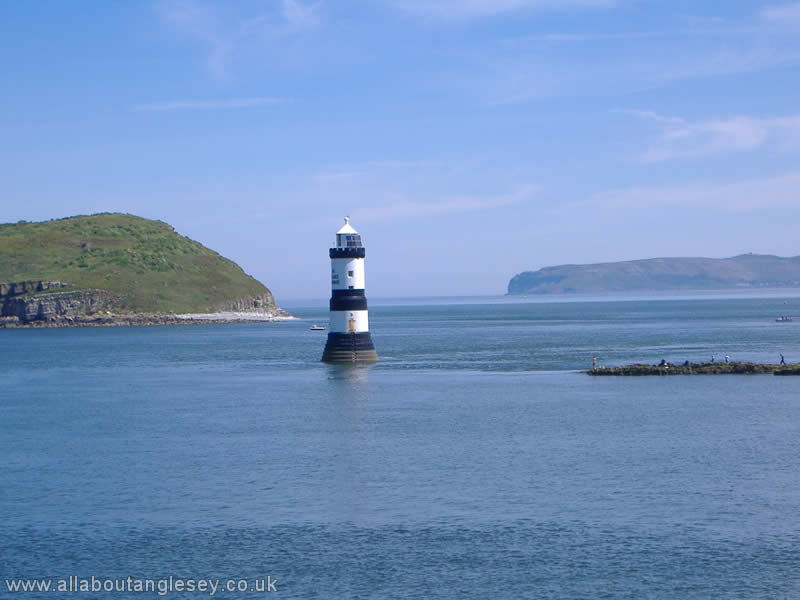 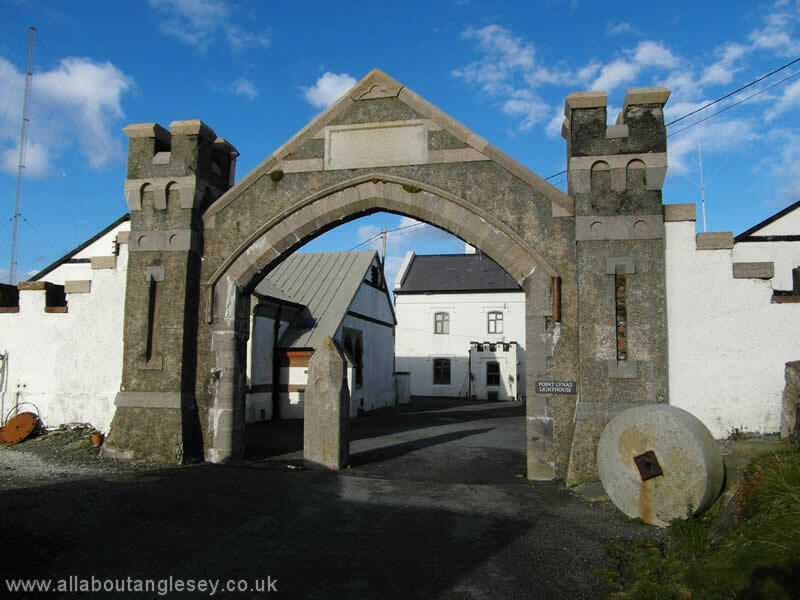 Trwyn Du, or Black Point, dates from 1838, and guides sailors through the passage between Penmon and Puffin Island. 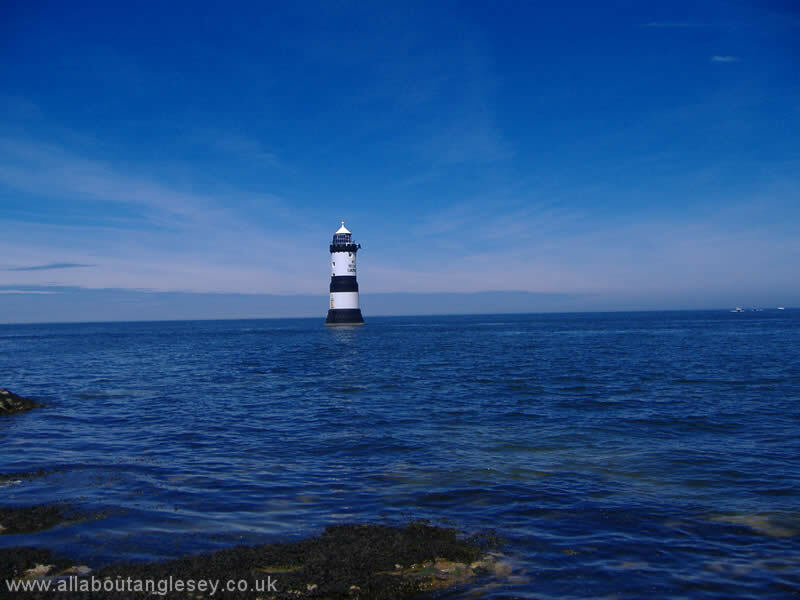 The mournful sound of its fog bell is heard every 30 seconds, regardless of the weather conditions. 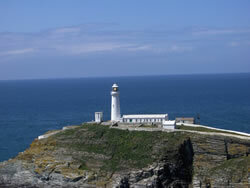 Point Lynas lighthouse is located on the north-eastern tip of Anglesey. 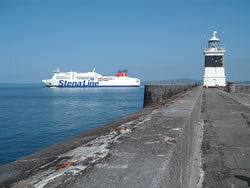 It was built to safeguard the passage of ships to and from Liverpool. 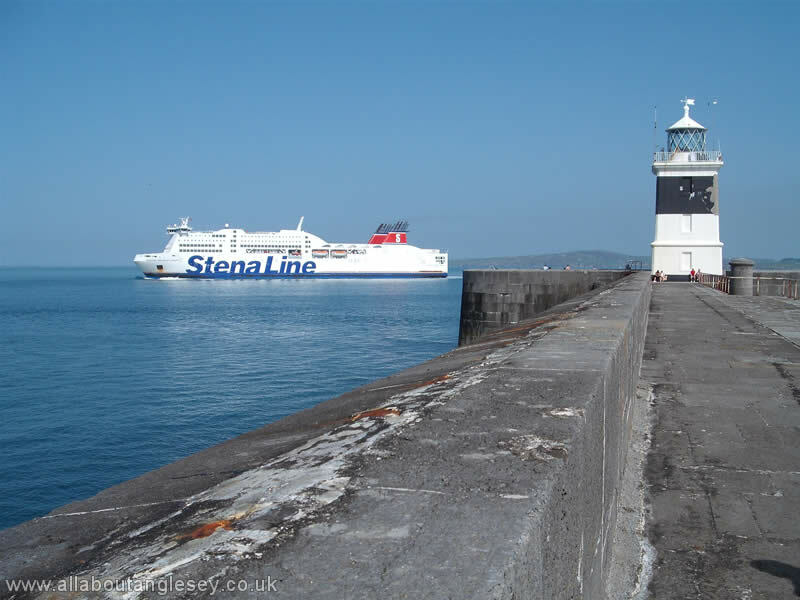 There is also a pilot station nearby, from which pilots go out to larger vessels to ensure safe navigation through to Liverpool. 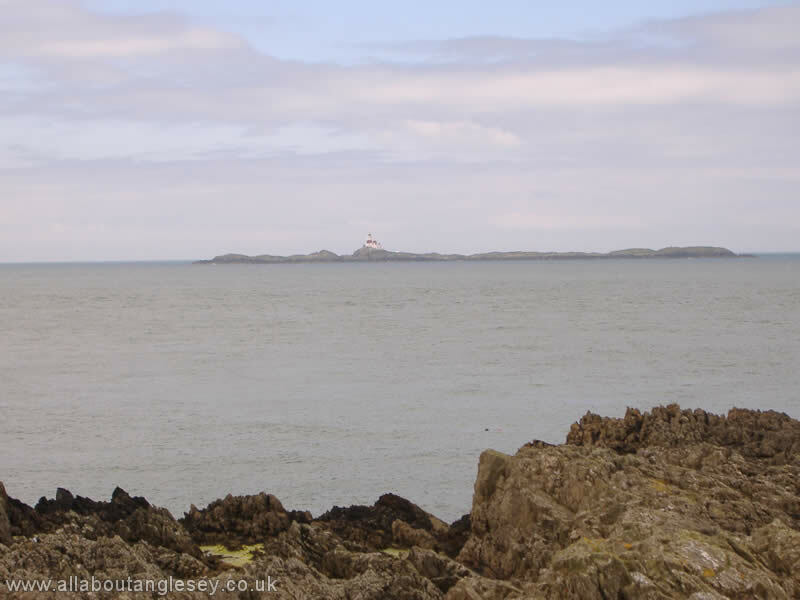 The Skerries was erected on a platform of semi-submerged rocks off the north-western coast of Anglesey. Its name is thought to derive from the Vikings, the name meaning 'rocks'. 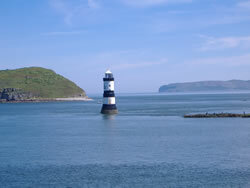 In Welsh, it is known as Ynysoedd y Moelrhoniad, or 'seal islands'. 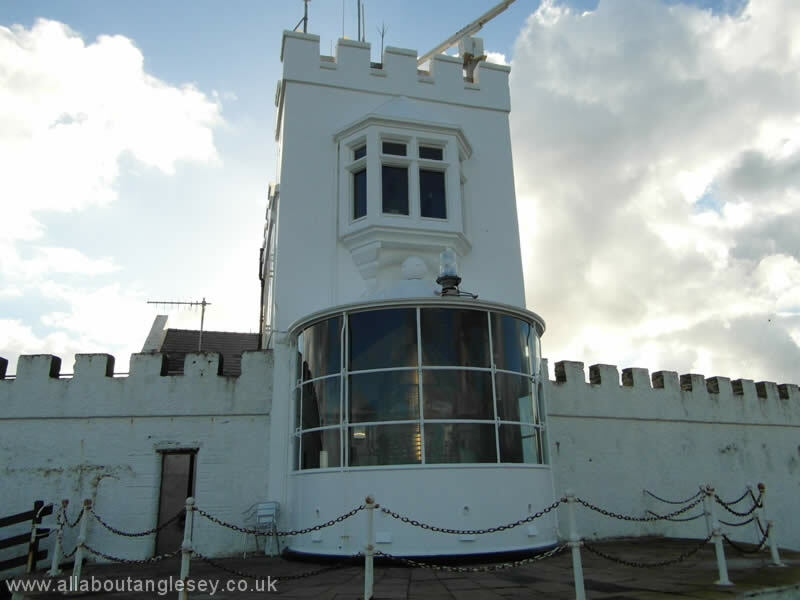 The lighthouse was originally in private ownership, but was acquired by Trinity House in 1841, with compensation in excess of £400,000 being paid to the owners. 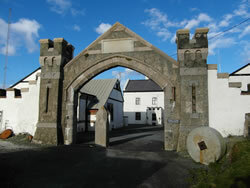 The Skerries was automated in 1987. 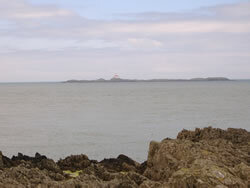 The area around the Skerries is currently being considered for tidal energy production. 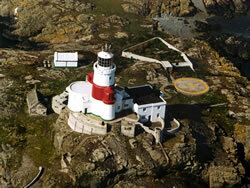 Thanks to Trinity House for the photograph. 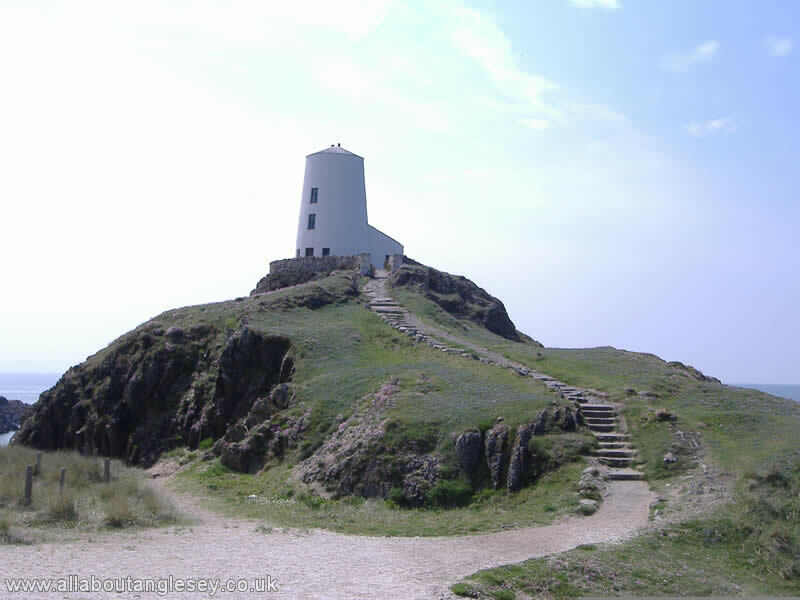 There are two redundant lighthouses at Llanddwyn, the little tower, or Twr Bach built in 1800, and the large tower or Twr Mawr, built in 1845. This is one of the most iconic lighthouses, with a dramatic setting at the foot of precipitous cliffs. The first lighthouse on the stack was built in 1809, and was automated in 1984. 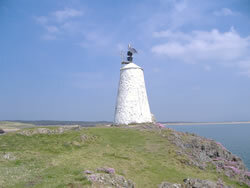 The surrounding cliffs are noted for the variety of bird life, and the Royal Society for the Protection of Birds has an information centre at the nearby Ellin's Tower. 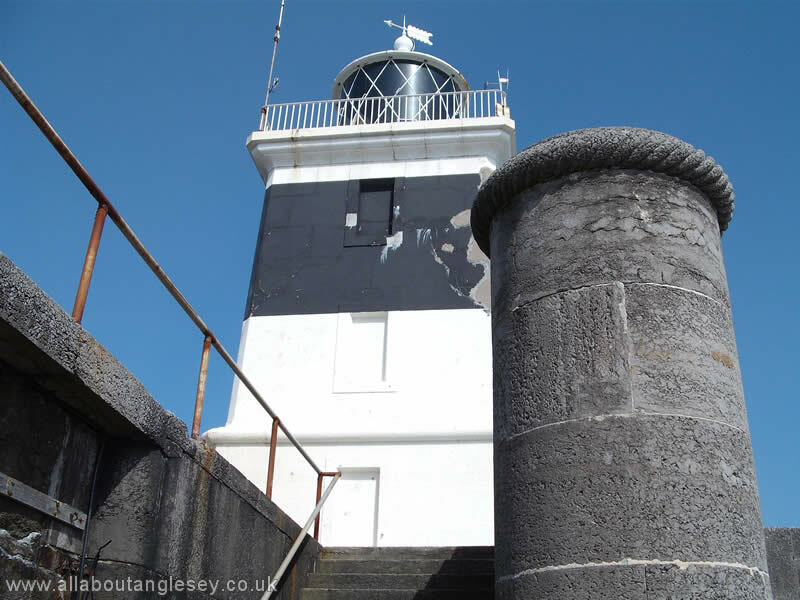 The lighthouse at the end of the breakwater is unusual in that it is of square section, rather than the conventional circular one. 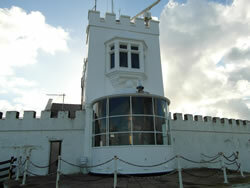 It was last manned in 1962.